We are glad you have stopped by this internet site to learn more about us. New Union Christian Church (Disciples of Christ) is a hallowed place of simple beauty, located just inside Woodford County on scenic Old Frankfort Pike. It is a pleasant and easy drive from Versailles, Lexington, Frankfort, Midway and southern Scott County. April 21 is Easter Sunday, and we will have two opportunities for worship. Easter Sunrise Worship: 7:15 am. The sun is predicted to rise at 6:55 a.m. so if you would like to arrive before 7:15 and watch from the beginning of sunrise, feel free to do so, parking alongside the drive. We will have some of our metal chairs to place– Update: as the temperature is predicted to be in the low 40s, our worship will be inside the sanctuary. We will put our chairs facing East and have our worship illumined by the rising sun coming through the windows. Worship will be about 35-40 minutes of scripture, prayer and quiet time, favorite hymns (Dean Phelps has agreed to lead us), special music, and a short message. Directly after the Sunrise worship, we will have muffins, donuts, fruit, juice, coffee, and tea for those who would like to stay and visit a bit in our fellowship area. Our traditional Easter Sunday worship begins at 11:00 a.m. , a rich time of celebration and prayer. We’ll read the Gospel story of resurrection morning, sing Easter favorites, prayer, have special music a word from the pastor, and as always, communion together. Hope to see you at church this Sunday! The regular worship service, held every Sunday at 11:00 a.m. – noon, is traditional, yet participatory, and always pertinent to modern life. We encourage families to participate together, yet as the parents would like, take advantage of having a nurturing children’s program with childcare and children’s programming available for ages 0-5 years. On the first Sunday of every month, we have a fellowship time at 10:15 a.m. in our Friendship Hall (church basement area) and would love to welcome visitors and offer this as a good time to get acquainted with our members and faithful friends. For 183 years, this congregation has aligned itself with the progressive wing of Protestant Christianity. 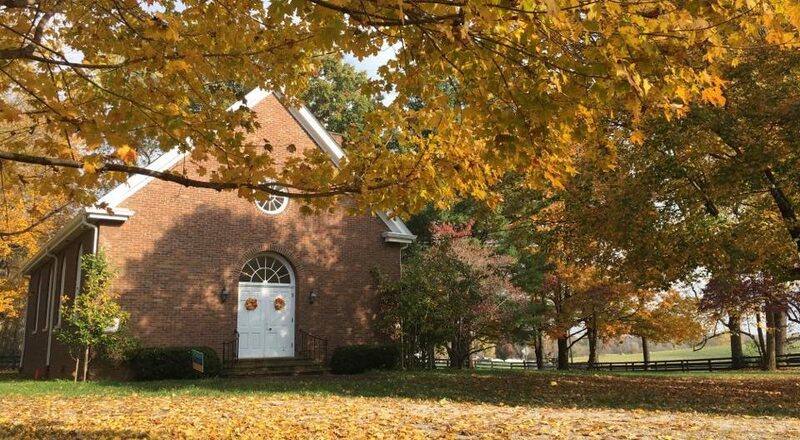 Many of its pastors across its long history have been among the best educated and thoughtful leaders of the denomination, and the majority of these ministers have also had an academic affiliation with either the Lexington Theological Seminary or Transylvania University. New Union offers members and friends a thoughtful and socially engaged approach to Christian living. Our church offers simplicity in its government and program; strong community within a caring fellowship; hospitality to all persons; and opportunities for people of all ages to grow in faith and discipleship. You will not find a paved parking lot or a choir with many voices. You will not have to leave your brain at the doorway. You will not be burdened with committees and meetings. You will find a welcoming group of people of a breadth of ages and from a variety of walks in life. People who have joined this church in recent years have come from a variety of religious backgrounds, or have come to us with no specific religious roots. Some of our members’ families have been members here for several generations. Come see for yourself what life in a small country church can do for your faith journey and your family. In our commitment to welcome all people as we believe Christ would welcome them, our members at New Union Christian Church have voted to be designated an Open and Affirming Congregation and a member of the GLAD ( Gay, Lesbian Affirming Disciples) Alliance.